London, Jan 24, 2012. 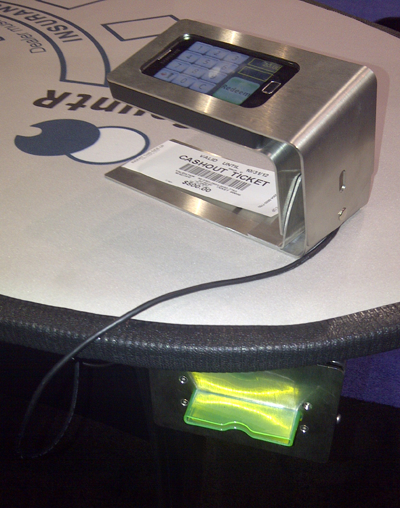 CountR, market leader for casino ticket and card redemption machines, today presents its new micro ticket redemption machine TITA® for ticket redemption and issuing at table games at the ICE 2012 casino trade show in London. The player benefit strongly since they can seamlessly move between slots and table games and also do not have to carry chips to the main cage and stay there in queues. Using TITA® the casino can strongly reduce the chip handling at the cage and chip refill at the tables.